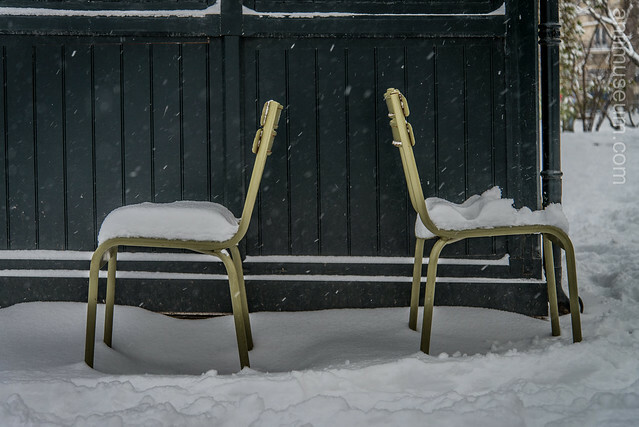 Those two chairs are looking like they have been ornamented with two cushions of snow. Such a shame someone couldn’t help mess up the one on the right. The ulta crisp 24-85 mm Nikon zoom lens and a speed of 1/100 (Full Exif details here) made it possible to capture the falling snow-flakes.